I try to install FBReader via Ununtu Software Center, but it stalls for a long time and even after the process is supposedly complete, Ubuntu doesn't display epub and mobi files when I click them. It says "There is no application installed for “Mobipocket e-book” files. Do you want to search for an application to open this file?" and this process doesn't finish. What should I do? Alternatively, I need something to display epub/mobi files. My internet connection is ok; e.g. 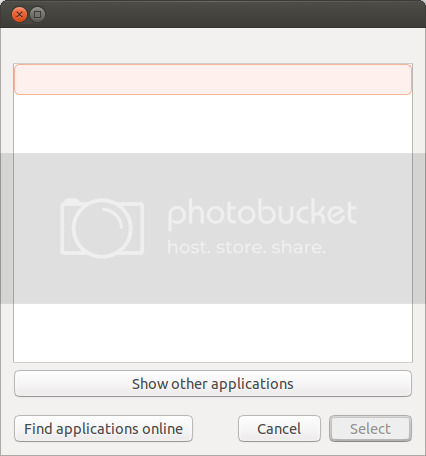 I am able to install system via ubuntu netinstall without a problem. Calibre is a free and open source e-book library management application developed by users of e-books for users of e-books. Calibre is primarily a ebook cataloging program. It manages your ebook collection for you. It is designed around the concept of the logical book, i.e. a single entry in the database that may correspond to ebooks in several formats. It also supports conversion from a dozen different ebook formats to LRF and EPUB. A graphical interface to the conversion software can be accessed easily by just clicking the "Convert E-books" button. Supported input formats are: MOBI, AZW, LIT, PRC, EPUB, ODT, HTML, CBR, CBZ, RTF, TXT, PDF and LRS. See here for more information on adding launchers to your system. To click an ebook and open in ebook-viewer, make this application (usr/bin/ebook-viewer) the default for that type of file. Try this. If you use Firefox browser, you can install EPUB Reader from its Add-On manager. Not the answer you're looking for? Browse other questions tagged 13.04 ebooks or ask your own question. How can I edit/create new launcher items in Unity by hand? What eBook readers are available? What ebook reading devices work well without Windows or Wine? How do I update the firmware on my Sony eBook Reader? How to upgrade Ubuntu 13.10 (end of life) to Ubuntu 14.04? Aquaris 4.5e - which ebook reader works? Xubuntu: How to make fBreader the default ebook reader?